This Commencement season, YU News will feature one remarkable graduate from each school, reflecting on their time here, their passions and their dreams for the future. He’s only graduating from high school, but Shimmy Socol of Marsha Stern Talmudical Academy/Yeshiva University High School for Boys (MTA) has already led an impressive career as a photographer and videographer. Since becoming fascinated with the medium while editing his own bar mitzvah video, Socol has run his own film and photography production company, working together with his siblings to capture visually stunning images for weddings, promotional films and personal projects alike. He’s been commissioned by organizations that range from Yachad to the Harlem Globetrotters, who he recently shot at Madison Square Garden, and the band Zusha, for whom he is the photographer. 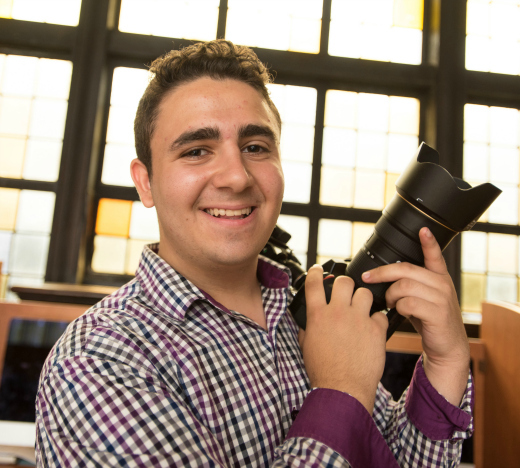 As a sophomore, Socol and fellow student Yisroel Loewy ’15YUHS were presented with an award and commendation from CSPAN for their entry—one of more than 2,500—to its StudentCam documentary competition. Their film, “Made in the USA,” was a passionate argument for the repatriation of American manufacturing across the food, apparel and technology sectors, taking to the New York City streets to illustrate how outsourcing jobs has affected the local middle class. But for Socol, the documentary is just one of many projects that he’s invested his heart and soul in throughout his high school years. “I try to be passionate about everything I do and get involved in crazy amounts of things,” said Socol. His time at MTA is a testament to that philosophy: whether he’s working on an issue of The Academy News as editor-in-chief, competing with the school’s debate team, or covering a basketball game as a member of LionsLive, a broadcast team dedicated to MTA’s sports teams. “As my rebbe says, ‘If you want something done, give it to a busy person—what’s one more thing?’ ” said Socol. As a third generation Yeshiva University graduate—following his grandparents Sheldon ’54YUHS, ’58YC and Ginger Socol ’59S, and his parents Jeffrey ’80YUHS, ’85YC, and Robyn Socol ’87YUHS—Shimmy has taken advantage of every opportunity to refine his craft in and out of the classroom. 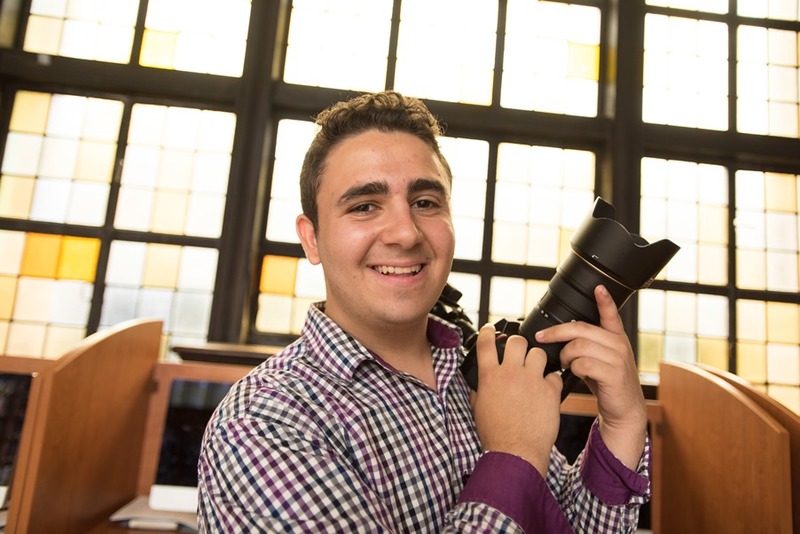 As one of seven seniors enrolled in Covering a Century at MTA: 100 Years of Memories, Socol is documenting the high school’s centennial through a unique course that combines sessions on American and New York Jewish history with others that focus on documentary filmmaking skills and oral history interview techniques. He also recently returned from Poland, where he and fellow classmates explored the country’s Jewish history and Jewish life as part of the high school’s Names, Not Numbers program. What Socol is most proud of, however, was his spiritual growth at MTA.